Ear Gear is a product for children and adults. 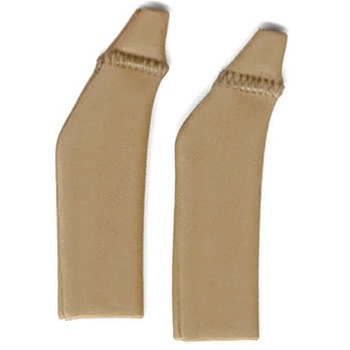 It is designed to help keep hearing instruments secure, and to cut down on hearing instrument loss and damage. If a hearing instrument is taken off or falls off, it will hang safely encased in the Ear Gear Boot. Additionally, Ear Gear is made of spandex and is water resistant and will keep the instruments secure during the most rigorous sports and outdoor activities. 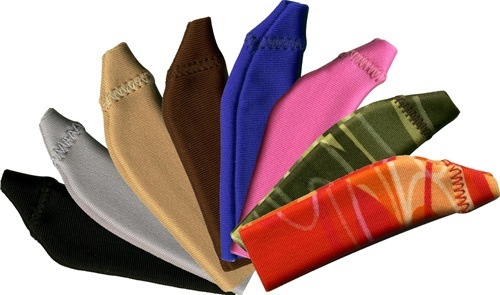 Ear Gear gives the wearer security, protection from the elements, and adds a fashionable flare to hearing instruments. -Fits BTE from 2.0" to 3.0"